Mother’s Day is May 13th. That may sound like plenty of time to make your plans, but it’s actually only 2 weeks away. Don’t panic. We’re going to help you with suggestions for how to make this a very special Mother’s Day for your mom, wife, or any other mother you want to honor. If Mother’s Day in your family means brunch, we have two suggestions in the Manchester area. Step back in time to the elegant and refined past with brunch at the Wilburton Inn. Stroll the 30 acre estate and gardens or take it all in from the marble terrace. For a brunch that not only gives to Mom, but also gives back, head to Bistro Henry in Manchester. A tradition, Mother’s Day at Bistro Henry is a special Habitat for Humanity Fundraiser. You not only celebrate Mom, but all the moms who long to make a house a home. If you’re in the Burlington area, try the Waterworks Mother’s Day brunch in Winooski. 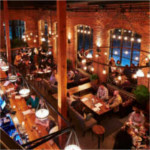 You’ll find creative American cuisine in this former mill with great views of the Winooski River. If gift giving is a part of your Mother’s Day celebration, here’s a unique idea. Why not head to Simon Pearce in Quechee for brunch in their wonderful restaurant. After her meal, Mom can stroll through the store and browse the handmade glass and pottery collections to pick her own gift. 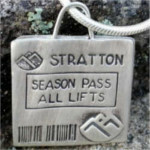 If Mom loves to ski, there is no more thoughtful gift than a silver ski lift ticket charm from Izadorable. 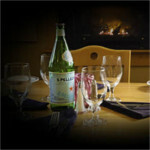 Choose from Stratton, Bromley, Killington, Stowe and more. 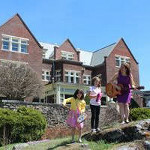 Or head to Hawkins House in Bennington for a unique Mother’s Day sale. Pick a colored jelly bean and win a discount from 10-30%. Hawkins House has something to please any mom including lovely silver jewelry, unique clothing and handbags, gifts of glass and wood, and so much more. Maybe your mom (or wife) likes spending Mother’s Day doing something special with the family. Vermont offers a lot of options there too. What about a family bike adventure? Vermont has hundreds of miles of bike paths and numerous bike rental sites. Spring is a great time to get out and ride. Not too hot, not too cold. And with the leaves still not out full, you can access views that would be hidden later in the year. You might even get lucky and spot some wildlife emerging after a long winter. If Mom is even more energetic, take a family hike instead. For a truly indulgent weekend for Mom, consider booking a stay at The Essex in Essex, Vermont. They bill themselves as a culinary resort and spa. Take advantage of their 3-night special which not only includes spa credits but also gets you 2 seats in their Cook Academy class! 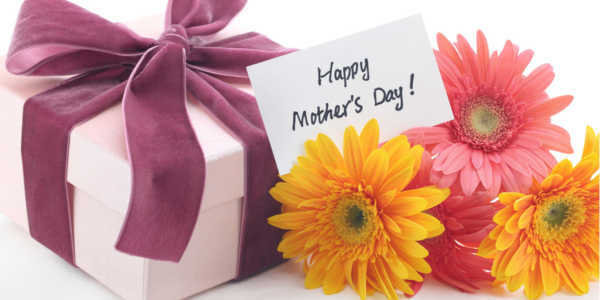 If these suggestions didn’t quite suit your special mom, there are lots more waiting for you on Vermont.com. Make sure to check out the Top Deals for special offers. 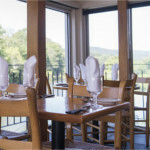 And don’t forget to review all the dining and activities options on Vermont.com to make your day as wonderful as the Mom you are celebrating.